All plugins from earlier versions must be updated to be compatible with QGIS 3.0. If your favorite plugins are missing, be patient and wait for the plugin developers to update them. 3.0 hasn't been out very long. Regarding the openlayers plugin, there's a much better option already updated for QGIS 3.0: QuickMapServices. Not the answer you're looking for? Browse other questions tagged qgis qgis-plugins qgis-openlayers-plugin or ask your own question. Will the OpenLayers Plugin be updated for QGIS3? How does QGIS Topology Checker check the topology of SHP and OSM files? How to download all QGIS plugins? How to tell which QGIS plugins are slow to load? 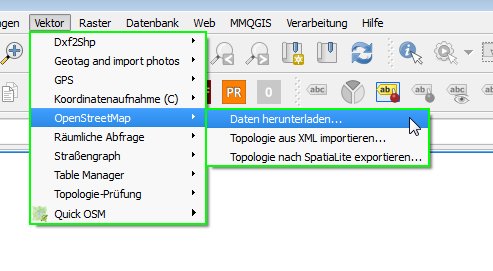 How to group my plugins in QGIS menu and toolbar?